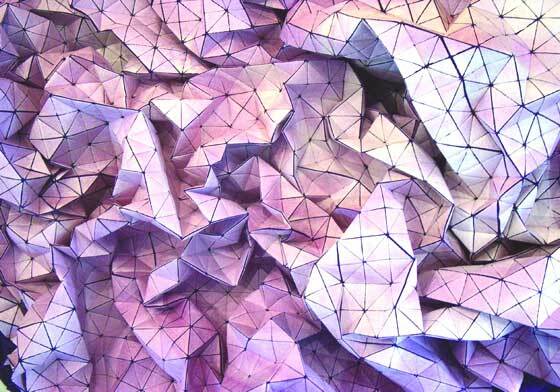 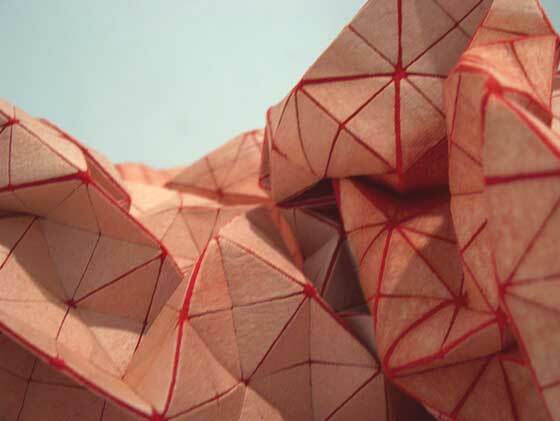 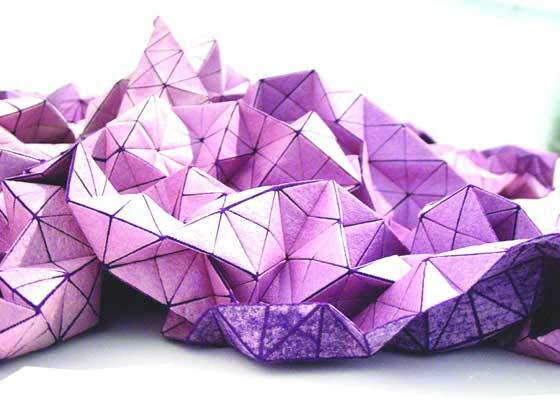 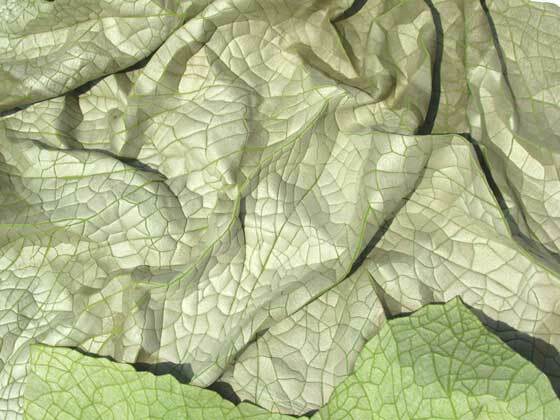 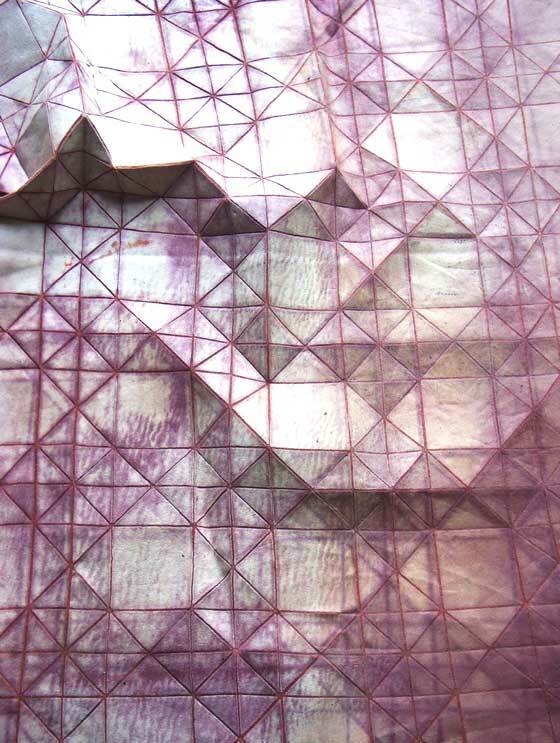 Indeed interesting these three-dimensional patterns created with fabric. 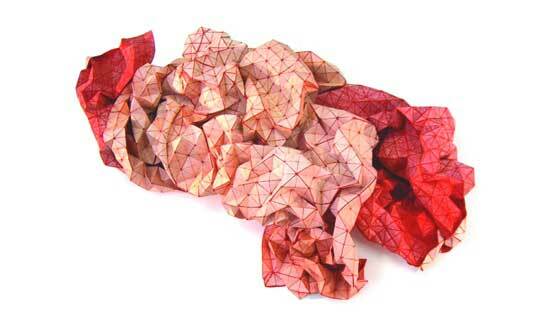 There are by Mika Barr, designer inspired by relationship among geometric and organic aspect of the nature. 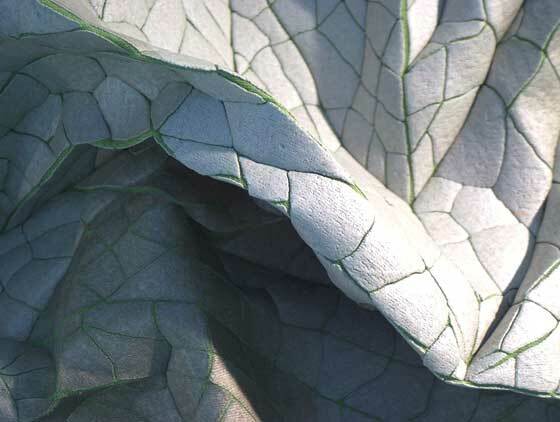 Starting from bidimensional fabrics, with a completely manual process in more phases, the cloth becomes a real sculpture in three dimensions.